We work with independent and assisted living centers, as well as care centers for residents with Alzheimer’s and Dementia. 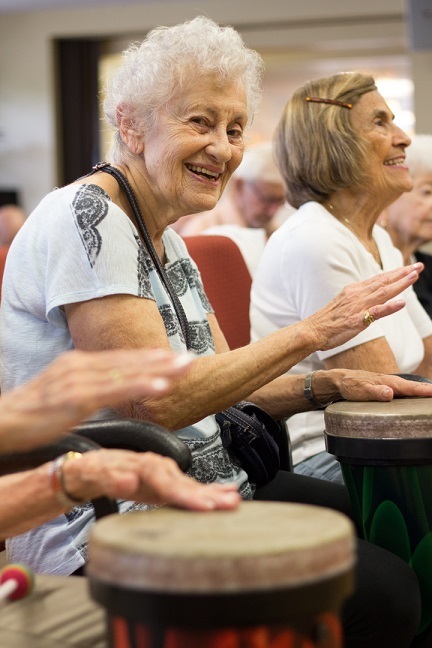 The goal of our sessions is to introduce physical and mental wellness activities, as well as to prompt the singing and playing of songs that many residents recognize from their youth – which can have therapeutic and relaxing effects. 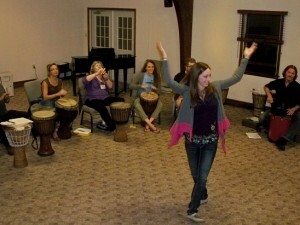 We also offer workshops for therapists and long-term caregivers. 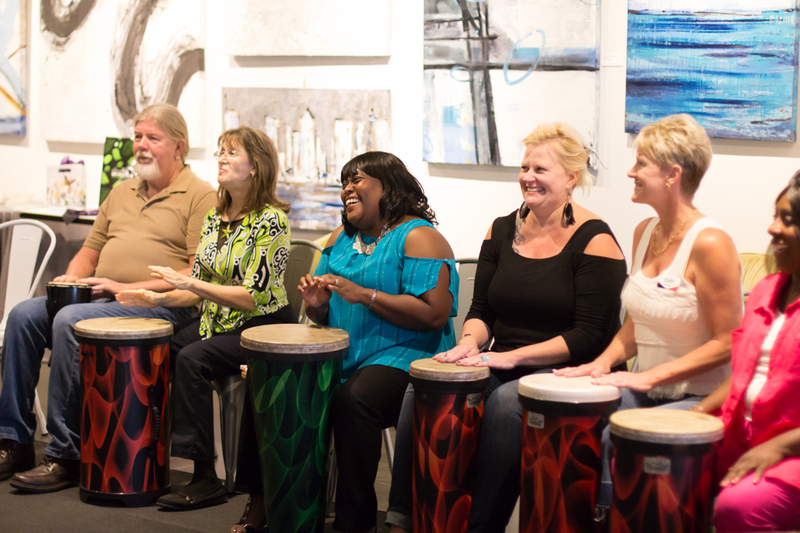 The goal of these sessions is to introduce methods of stress management and offer an outlet for sharing stories of care and concern within a supportive environment. Studies have shown that this type of rhythmic empowerment program can help alleviate the stress of working in such an environment, and also reduce burnout and employee turnover.